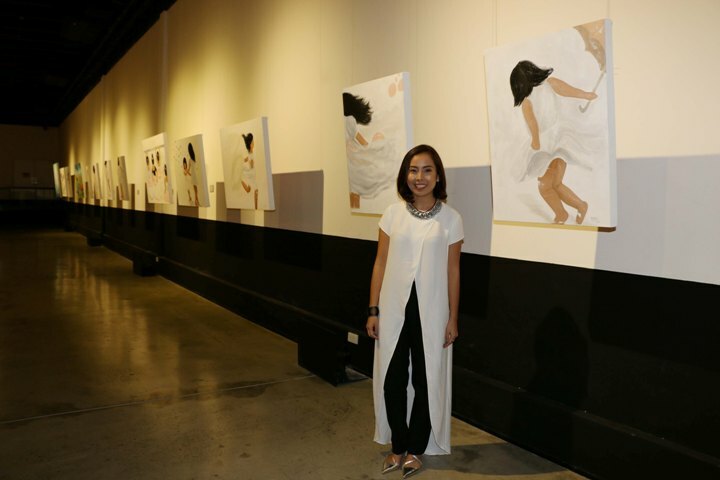 Martie Datu standing in front of her minimalist pieces of her “Through Their Eyes” exhibition. If you are someone who likes exhibits where in you can see paintings that has different stories, you may want to visit Martie Datu’s Through Their Eyes. It can also be observed that each face of the children on the paintings have no facial features. Why? “I really chose the children to have no specific eyes or facial features because I wanted the audience to see themselves, or someone familiar in that type of scene on the painting.” Martie shares. Some of the paintings had the vibrancy of different colors while most were just in white and black, as her minimalist pieces, symbolizing the children’s simplicity, innocence, and purity, as children “don’t really need much to be happy.” With that, she pushed herself to use less and show more. Others are paintings of sky scapes. Each of the painting also has its label which was written by Martie. 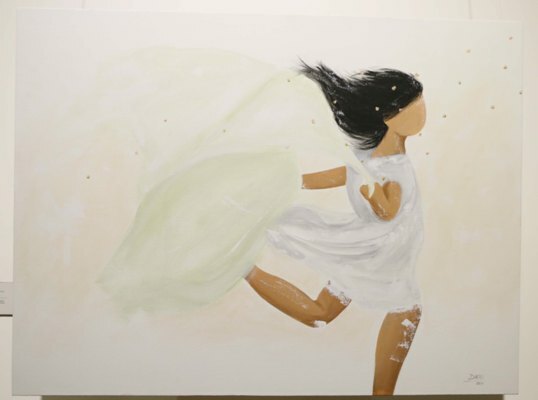 She said those are the stories of childhood, where in we imagine things like being a super hero, fighting the bad things – just like what was written about her painting called “Magic Cape”. She started to paint when she was still a child but she thought she wouldn’t earn a living from painting so she followed the footsteps of her father and pursued banking. 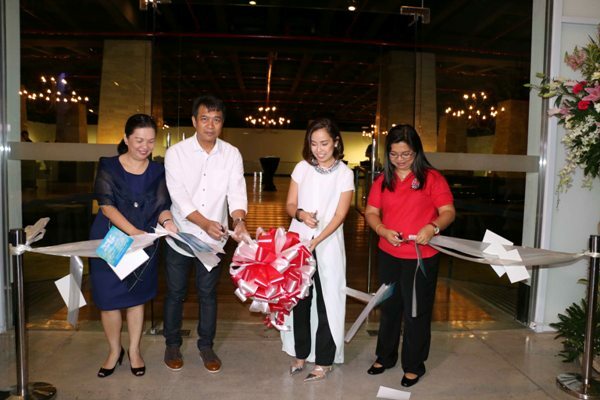 Now, she has used her talents to inspire and help children as the part of the proceeds of paintings sold in her exhibit will be given to Bantay Bata 163. Martie Datu’s Through Their Eyes runs until July 31 at Green Sun Hotel, Makati City.